Check out our Featured NFL Free Picks for similar articles. The Kansas City Chiefs and the Pittsburgh Steelers are coming into Week 4 of NFL action with an identical 2-1 record, but they’re coming off very different performances in Week 3. The Chiefs dominated the Jets in a 24-3 victory last Sunday while the Steelers struggled to get anything going in a 34-3 loss to the Eagles. 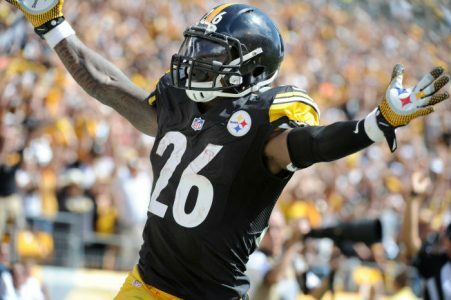 Pittsburgh opened this contest as a 5-point favorite, but the big money has come in on the Chiefs moving the line to Steelers -3.5 as of the publication of this preview. The total meanwhile has dropped a point and a half from the opener of 47.5. Kansas City is allowing just 16.3 points per game for the season and it put up a big defensive performance in last week’s trouncing of the Jets. The team forced Ryan Fitzpatrick to throw a whooping six picks, led my Marcus Peters’ two interceptions. The cornerback has now made a league-leading four picks this season with seven deflected passes. Offensively the Chiefs are averaging 23.0 points per game, but they fell 19-12 at Houston in their lone road game, in Week 2. Alex Smith has been decent without putting up the big numbers as he enters the game with a 66.9 percent completion rate with three touchdown passes and one interception. Worrisome for Chiefs backers is the fact that they’re 1-5 ATS in their last six games following a straight up win and 2-5 ATS in their last seven vs. AFC. The Steelers have conceded an average of 22.0 points through their first three games. Last week’s 34-3 loss on the road at Philadelphia put a dent in their defensive record and was just about as one-sided as the result would suggest. They allowed rookie QB Carson Wentz to go off for over 300 yards with two touchdowns but might have better luck against the pedestrian Smith. The Pittsburgh offense was outstanding the first two games, and is still averaging 21.7 points per game despite last week’s clunker. Ben Roethlisberger has a very mediocre 59.3 percent completion rate for this passes with four picks and six touchdown passes. Perhaps a bounce back game is in the cards for Big Ben and Pittsburgh as the Steelers are 7-2 ATS in their last nine games following a straight up loss, and the home team is 6-1 ATS in the last seven meetings with KC. The Chiefs defense hasn’t been effective at stopping the run, and Le’Veon Bell is back after serving his three-game suspension. Chiefs are 2-5 ATS in their last 7 games overall. Chiefs are 2-7 ATS in their last 9 road games vs. a team with a winning home record. Steelers are 3-1-2 ATS in their last 6 games overall. Steelers are 0-3-1 ATS in their last 4 games after scoring less than 15 points in their previous game. Under is 6-1 in Chiefs last 7 games in October. Under is 16-5 in Steelers last 21 games in October.